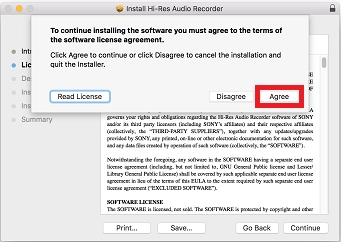 Hi-Res Audio Recorder is an application to record audio tracks of a vinyl record onto your computer in the high resolution format. Recording audio tracks from a vinyl record:After connecting the turntable and your computer with the supplied USB cable and installing the software, you will be able to record audio tracks in high resolution formats (DSD or PCM) from the vinyl record being played on the turntable.The maximum duration available for recording is 100 minutes. 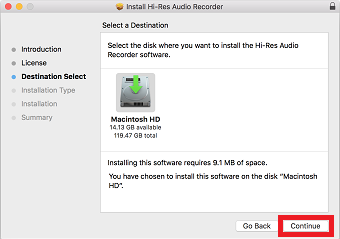 remove the silent section before the first audio track or the ones between tracks. divide the temporary file into individual audio track files after you have recorded all the audio tracks on either side of a vinyl record. You can add up to 60 markers as well as remove or move the markers. Gain adjustment: You can adjust the signal level (gain) for the recorded data (temporary file).You can select Automatic Gain Adjustment as well as Manual Gain Adjustment, which allows you to increment the gain by 1 dB between +1 dB and +6 dB. Exporting the temporary file: You can export the recorded data (temporary file) to your computer.You can also enter the album name, the album artist name, track titles, and track artist names before exporting the temporary file. The installer file will be saved into the folder you set as destination folder in your browser’s settings. As default, it will be saved into [Downloads] folder. 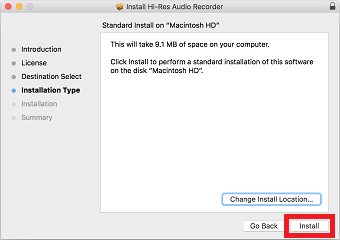 Once the file has downloaded successfully, you're ready to install Hi-Res Audio Recorder. 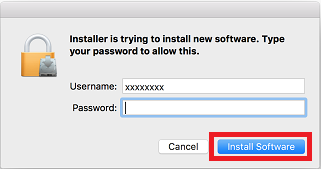 When the login password is required, type your password and click [Install Software]. 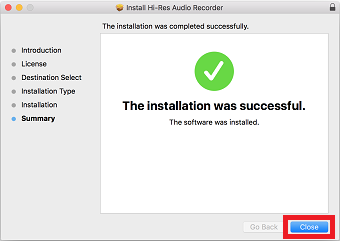 The [Installing Hi-Res Audio Recorder] screen is shown and installation begins. Make sure that the disk drive has sufficient free disk space. Installation requires about 100 MB of free disk space. If there is not enough free disk space, remove unnecessary files. Your computer may not be running properly. Start another application to see if it works normally. 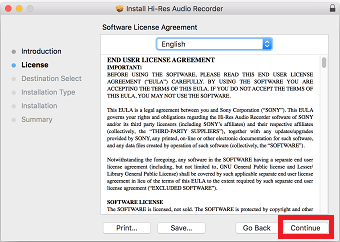 Make sure that Hi-Res Audio Recorder is successfully installed. 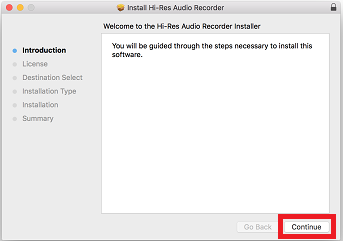 If Hi-Res Audio Recorder is not successfully installed, uninstall the application and install it all over again.